A bumbling honorary fire chief runs for alderman against a gangster in this madcap comedy. 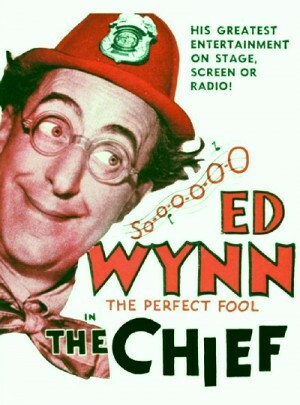 A timid man (Ed Wynn) is thrust into the spotlight when his father is honored as a hero. He blunders into a series of adventures because of a woman (Dorothy Mackaill) and becomes a hero himself. Although two political parties try to use him for their benefit, he unwittingly foils all their plans. This is based on Wynn's famous radio character, and the film ends with Wynn on his own radio show. This farce satirizes the corruption of local politics in the big city by making a popular hero out of a clumsy but likable fool.